Android users, it's time to pony up the cash for that tethering plan with your smartphone. Wireless carriers and Google are cracking down on Android users who download apps that allow them to use their phone as a modem without any extra charges. AT&T, Verizon and T-Mobile started blocking downloads of apps from the Android Market that allow users to share the phone's data connection with up to five other devices via Wi-Fi, without paying for tethering charges. Engadget and This Is My Next point out that the restrictions only apply for American carriers, with the exception of Sprint customers. Wireless carriers charge from $15 to $20 per month to allow users to share a phone's data connection via Wi-Fi with laptops, tablets and other gadgets. Yet until now many Android users managed to avoid this rule by installing apps freely available from the Android Market, which allowed them to tether without paying extra. Access to most free or low-cost tethering apps from the Android Market is now blocked from AT&T, Verizon and T-Mobile Android smartphones, signaling the end of the tethering freeloading era. 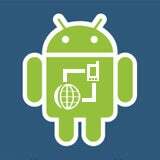 Some of these apps are Easy Tether, Internet Sharer, Klink, PDAnet and Tether for Android. Enterprising users can still install free tethering apps, but they would have to do it on a rooted phone, or from another source other than the official Android Market. If you're on AT&T, this will be particularly harder because of locked bootloaders. It's not surprising that carriers are taking steps to thwart free tethering. As millions more buy data-hungry smartphones every year, carriers' networks are constantly under pressure -- and capped data plans and tethering charges are attempts to keep the network strain under control for the time being. AT&T seems to be the most active in cracking down on free tethering. The carrier has also been e-mailing subscribers who eschew tethering charges, threatening to move them to costlier data plans in order to accommodate tethering charges.